Most of the products featured on Beauddiction are purchased with my own money, but occasionally, a brand or PR agency will send me product(s) for free in exchange for an honest review. This in no way influences my thoughts and opinions and I am under no obligation to write a positive review if I don't like a product. Please know that every review that is written on Beauddiction is my honest and true opinion...I would never want to steer you guys wrong! When I talk about products, I (when available) direct my readers to stores where they can purchase them via a link and sometimes these links are affiliate links. I will disclose this at the bottom of every post (you will see the word "affiliate link" if I have used them within the post). Please note: I do not get paid when you click on the link unless you make a purchase...only then will I earn a very small commission for sending you their way. 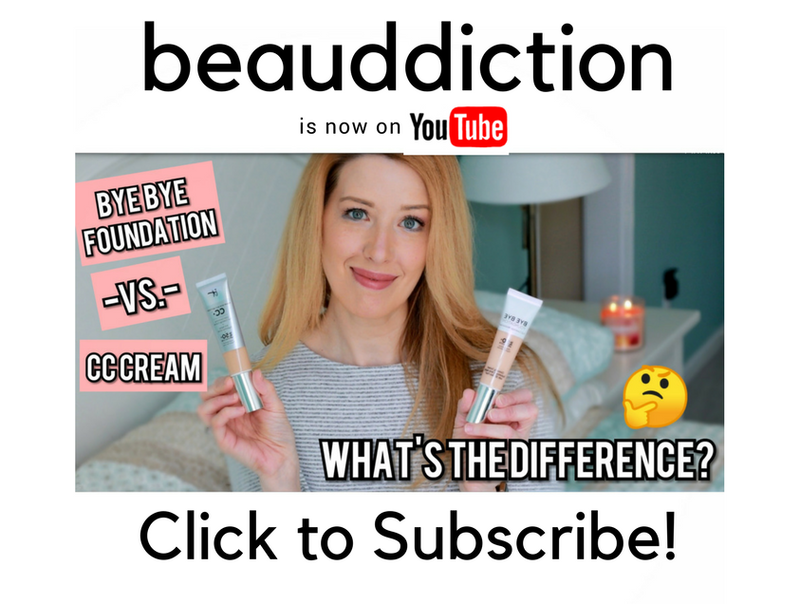 The links do not cost you anything and by clicking on these links, you're supporting Beauddiction and helping it to grow because I put everything I earn right back into the blog, whether it's buying new products to review or updating the website. I thank you so much for your love and support...it means so much to me! Results can vary from person to person where beauty products are concerned, so please use your own judgement when purchasing a product. I am not responsible for problems that may arise from your use of a product, including (but not limited to) rashes, allergic reactions, bad hair days, acne, or just not liking a product. Everyone is different and you may hate something I say I liked (and vice versa). My reviews are all based on my own personal experience and opinion, so please keep that in mind when you're reading a review. I encourage you to check out the reviews on sites like Sephora.com and Ulta.com before making a purchase so you can get many different opinions all in one place.